Find them all over the Philippines. 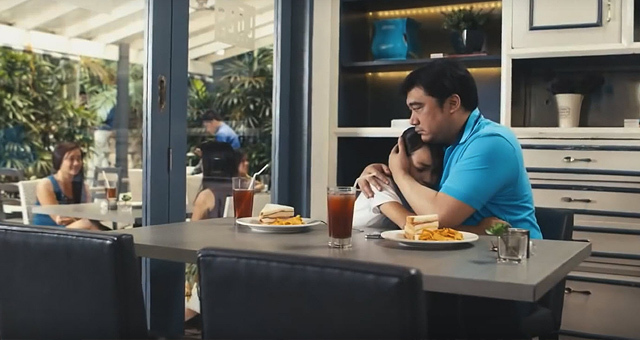 (SPOT.ph) More often than not, movies use real-life locations that you can visit time and again even if your favorite two-hour reel doesn't run in theaters anymore. 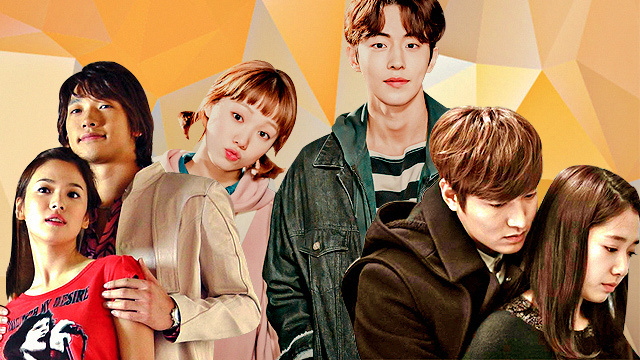 Most of these are restaurants that not only give the perfect setting for a kilig-inducing scene (or a heart-wrenching breakup), but also offer dishes that are equally hard to forget. 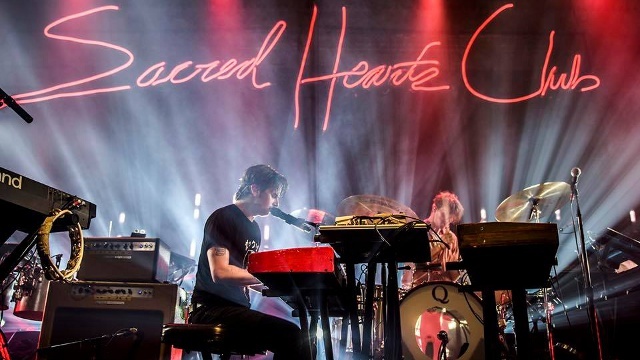 We list down a few local dining options that have appeared in your favorite indie movies. Any Isko and Iska (or anyone who has a friend from the University of the Philippines) knows that Sarah’s, located right beside the Krus na Ligas arch along C.P. Garcia, is one of the best watering holes in the area. 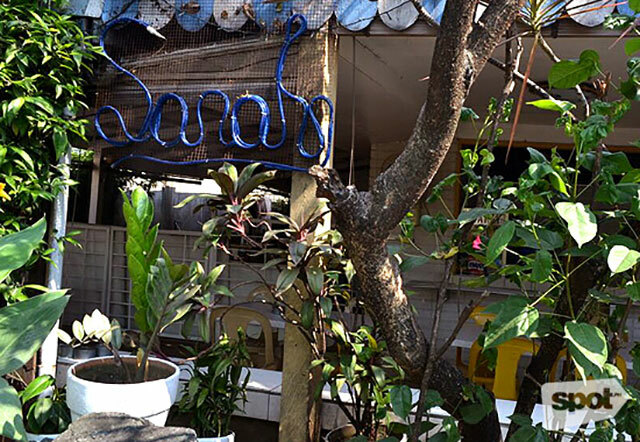 So it doesn’t come as a surprise that the UP-inspired film Dagitab features Sarah’s, only this time it’s named as the fictional Zara and the real-life location is at Tomato Kick along Malingap Street in Teachers Village. Nonetheless, it shows Sarah’s as a no-frills tambayan that sells cheap beer and affordable plates of sizzling corn and tokwa’t baboy. You can also order barbecue, grilled hotdog, isaw, and other types of street food at the stall by the parking lot. 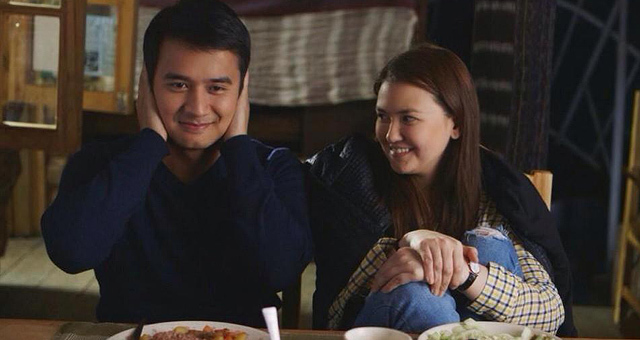 Anthony's (JM de Guzman) scene with Mace (Angelica Panganiban) in Gaia Café is considered one of the most kilig sequences in That Thing Called Tadhana. But this local coffee stop is more than that. 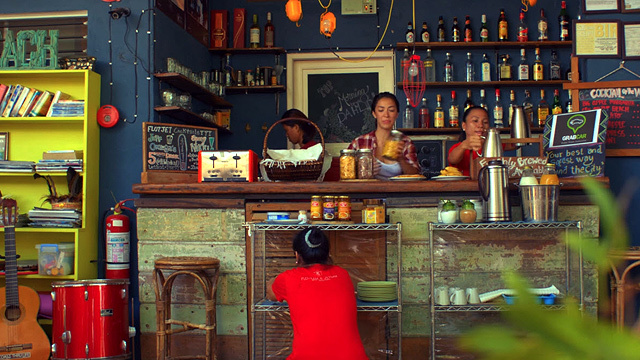 It's a community-based Kankanaey café that serves only organic and local produce. Plus, you get to enjoy a great view of Ambasing Valley below while sitting at a corner table of this tree house-like structure. 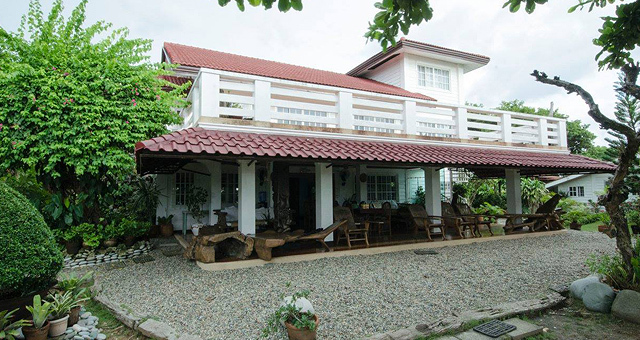 Urbiz Garden is a favorite bed-and-breakfast in the quiet side of Urbiztondo Beach, which makes it one of the best-kept secrets in the area. Don't forget to order Filipino fare when you're there—from a hefty serving of tapa to a well-marinated bangus, you can have your day's meals in any of the kubo by the beach. It's also a good spot to share a bucket of beer with friends, much like what Carson (Maja Salvador) and Jason (Dominic Roco) did! 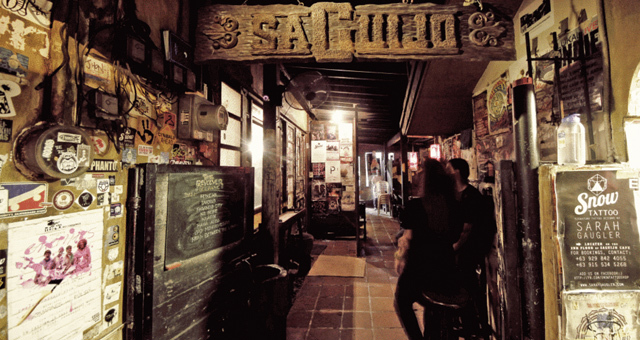 saGuijo Café + Bar is a hotspot when it comes to some of the greatest Filipino music acts—may it be a young and upcoming solo performer or a popular OPM band. 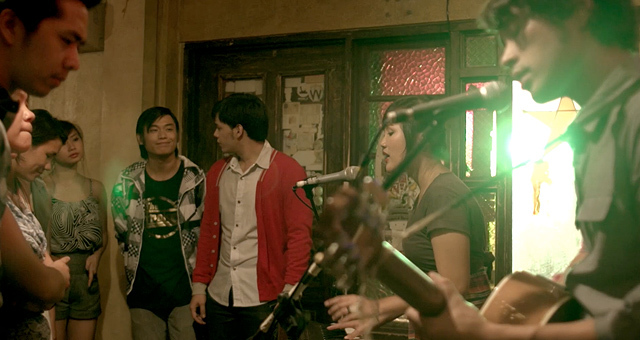 It was probably inevitable that a movie like Ang Nawawala, which is heavily infused with the local live band scene, would shoot a few scenes here. Mga Kidnaper ni Mang Lazaro, an indie movie within an indie movie, stars Joel Torre who portrays himself as the alternative film industry's prince (taking after Ronnie Lazaro, who’s regarded in the story as the king). 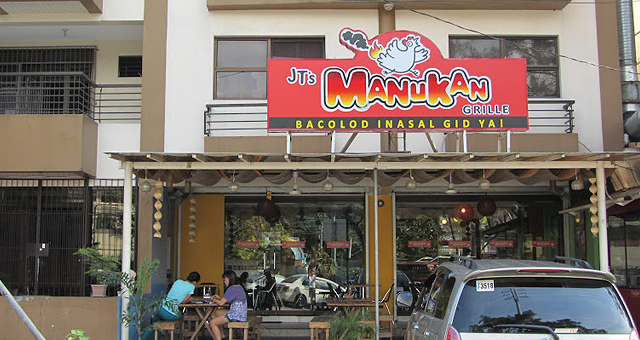 So of course, JT's Manukan Grille—owned by the actor—is up there in the film's shoot locations. The restaurant offers grilled chicken items marinated in the traditional Ilonggo way, and reminds diners of chicken outlets commonly seen in Bacolod City through an open-air set-up. 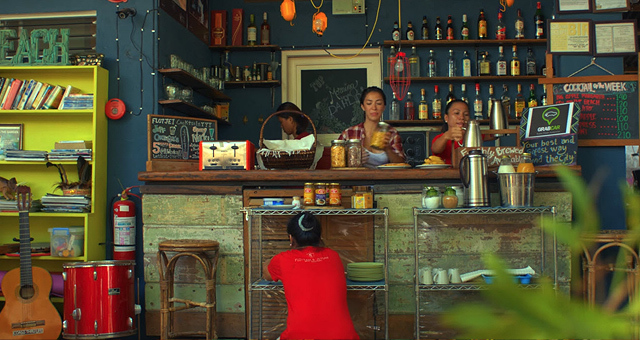 You can even see most of Torre's movie posters hung on the walls for a full-on indie film vibe. In award-winning film What Home Feels Like, 57-year-old seaman Antonio (Bembol Roco) has spent more than three decades aboard a ship only to be let go by human resources in his old age. 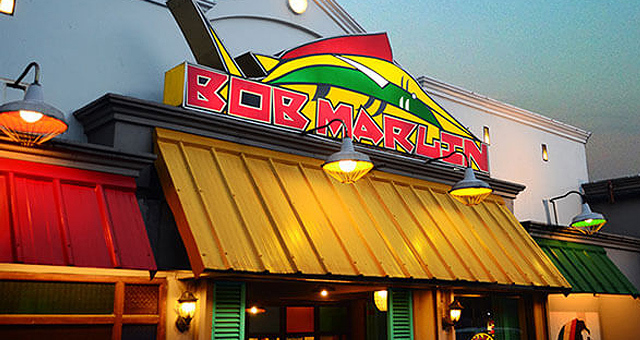 He later gets to spend more time with his wife (Irma Adlawan) and four children (Biboy Ramirez, Aaron Rivera, Rex Lantano, and Bianca Libinting), and one of the restaurants they visit is Bob Marlin in Naga City. This homegrown Bicolano restaurant is known for their crispy pata and hefty serving of local dishes such as pinangat, Bicol express, and laing. 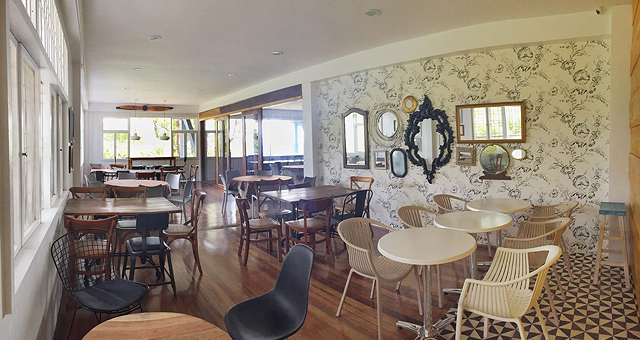 Lola Café in Quezon City makes you feel like you're right at home feasting on home-cooked meals with your family—a paradox of a setting for a movie that follows the bittersweet saga of six men in failed marriages. 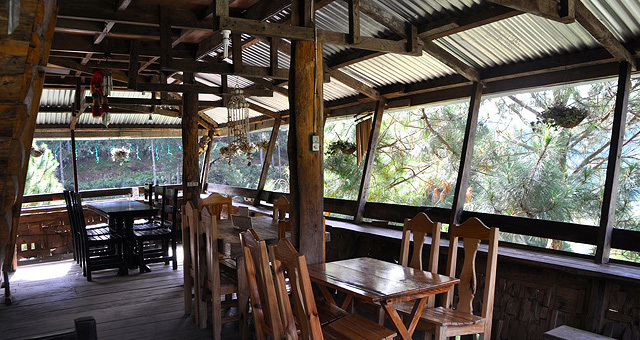 This ancestral-house-turned-restaurant is still a must-visit in the area if you're looking for a new dating spot or a place to hang out with friends. Highly recommended is the kare-kare, which will make you forget about all the other kare-kare you've tasted (even mom's, sorry Ma!). 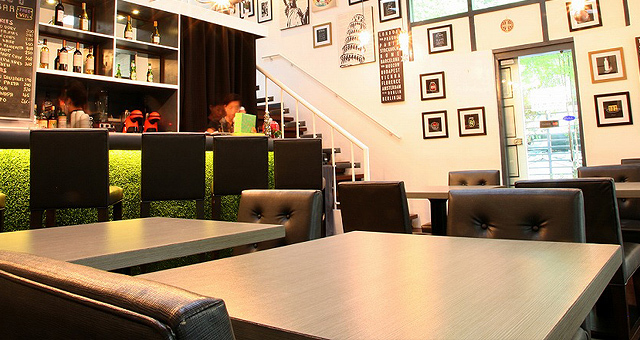 Much like saGuijo Café + Bar, B-Side Bar at The Collective in Makati is a haven for music-lovers. 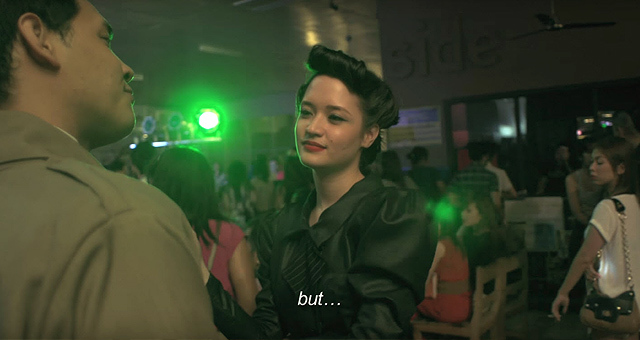 It's the perfect setting for an '80s-themed party featured in one of the scenes of Ang Nawawala, and a throwback kind of night is not too different from the usual events happening in this dive bar. Whether you're into reggae, ska, dance beats, and even '80s punk, there's surely a B-Side event for you. 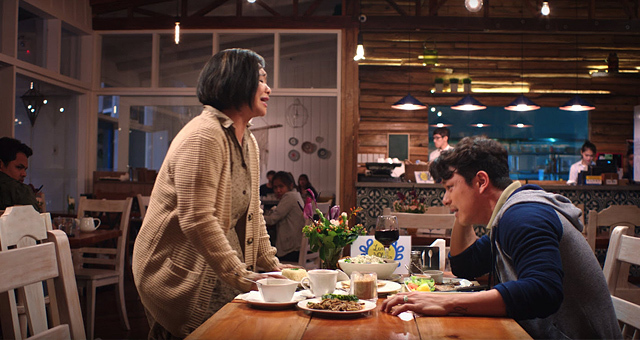 Even if you missed the movie, you may have seen Jericho Rosales and Eugene Domingo's funny breakup scene in the trailer of Ang Babae sa Septic Tank 2. 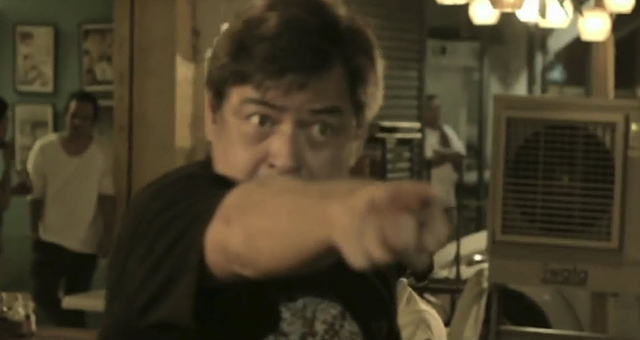 It was shot in Lemon and Olives Greek Taverna, a Greek restaurant in the chilly hills of Baguio. The house-turned-restaurant not only features a breathtaking view from its terrace, but also delectable dishes such as the Souvlaki Plate (for a taste of Greek street food), its signature lamb dish infused with Greek herbs, and the Soutzoukakia (spicy meatballs in tomato sauce). 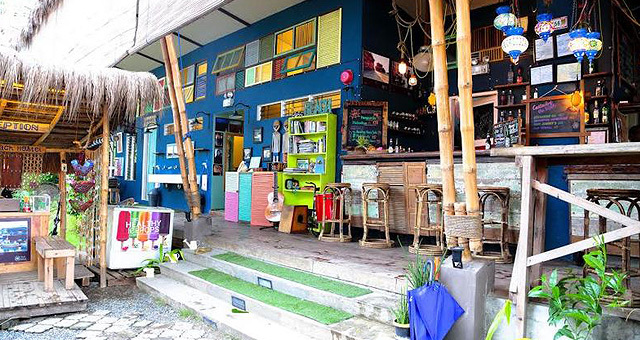 Jay Abello's 2015 film titled Flotsam is set in, well, Flotsam and Jetsam—an artsy beach hostel in San Juan, La Union. Aside from offering surfers and travelers with one-of-a-kind accommodation, it also treats guests with a cool lineup of signature cocktails (such as lychee and cherry sangria and what they call the five-minute drink) that are available from 5 p.m. onwards. If you're not the drinking type, you can order their Truffle Pasta, Pan Grilled Dorado, Chilly Garlic Butter Crabmeat, and other filling dishes that are perfect for after-surf sessions.